Costa Rican Real Estate offered by Zahara Properties™ for the discriminating buyer of luxurious ocean front residences and condominiums. ©copyright 2004-2008 Zahara Mossman, LLC . Excellent opportunity for developers or investors. 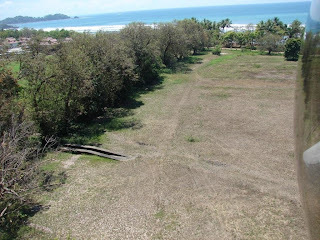 500 Acres perfectly located in a major development zone on the Pacific Coast of Guanacaste, Costa Rica. Located 15.6 miles from the Liberia International Airport. ALL permits for development are approved and included in this amazing opportunity. This would include water at a rate of 317 gallons per minute, plat maps, road plans, electricity and all Master plans are approved by the goverment. Please keep in mind that this is essential to have for future development. In Latin America getting permits is what takes the longest time and since these are already approved it will expidite all future construction on this beautiful site. Tranquil environment of forests and ocean vistas, this is a project to be developed as a gated community with expansive grounds covering 500acres. 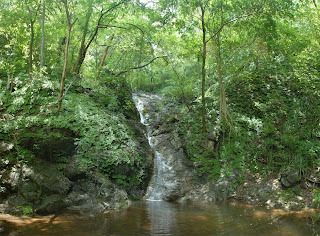 Situated in the exclusive “Ruta del Sol” Sun Trail in Sardinal, Guanacaste. This area is only 15 minutes away from beautiful beaches, 30 minutes from the Liberia International Airport, and not too far from exclusive golf and polo courses, and two future marinas under development. 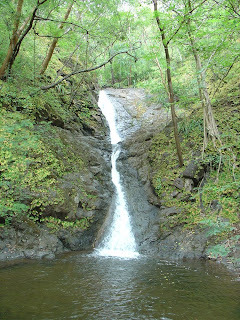 Future clients would own a piece of Costarican nature at its purest, with lots ranging from 1.25 acres to 5 acres (5000-15000 sq. meters) and enjoy solitude and tranquility within a community inspired by and ecologically friendly philosophy. 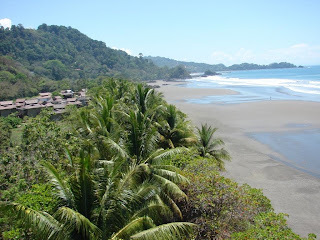 I have lived in Costa Rica three times throughout my lifetime. I graduated from High School and attended my first 2 years of college in San Jose at the private university U.A.C.A. (Universidad Autonoma Centro Americana) I have many friends and colleagues that have remained close to me for over 25 years. I really understand this beautiful Country and its idiosyncrasies and it's culture. Consult with me about buying property there or conducting business or it's lifestyle, I know first hand what it's like to live "pura vida". I represent several very honorable groups of developers that I have personally known of for over 25 years. I am now assisting them in promotion and sale of many exciting new projects and already existing projects. 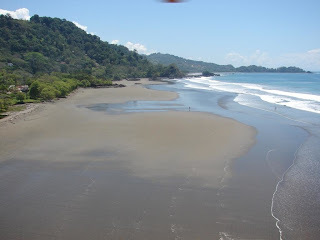 Some of these projects are located in the black and beautiful volcanic sandy beaches of Ocotal, Guanacaste in Costa Rica -even secret hideaways not known to the public- throughout this amazing country. Please scroll down and click on the links to cyberglide you to more information on acquiring paradise!! Zahara personally has known, traveled and lived throughout Latin America for over 28 years. She has maintained her friends and business associates for a lifetime. She graduated from a private bilingual high school in Costa Rica and attended two years of college at prestigious universities such as U.A.C.A. (Universidad Autonoma Centro Americana) in San Jose, Costa Rica. She also attended two years of college in Panama at La U.S.M.A. (Universidad Santa Maria la Antigua), with continuing studies in Marketing, Business, Public Relations and Advertising in the USA at Miami Dade Community College and F.I.U. (Florida International University) prior to that she lived in Guatemala for three years as a young teenager while attending private boarding schools her entire life. Her parents are retired Diplomats of the OAS, of Guatemalan and Cuban descent, married for almost 45 years. Zahara and her siblings were born in Washington, D.C. in The United States of America. Zahara has been featured in the press and mentioned in many business journals, news articles, society pages and magazines world-wide throughout her lifetime. As an exemplary citizen, she has dedicated her life to helping others exclusively on a volunteer basis. She utilizes her language skills to communicate eloquently, with her international clientele. She is affiliated philanthropically with several non-profit organizations donating her time as volunteer fundraiser for Heart, Diabetes and Cancer research. Zahara is a chairperson for many organizations such as the annual fund raiser for University of Miami's, Diabetes Research Institute Foundation's, "Feast Among the Grapes". This is a wonderful culinary and wine tasting event that takes place yearly. As a chairperson of The Miami Heart Research Institute, she helps organize fundraisers with annual gala events and luncheons. She also volunteers in Emergency Rooms. Zahara was selected as the winner, to be featured in Real magazine as woman of the year, representing the State of Florida. Her volunteer work for decades, has brought her to the level of both National and International recognition. Public Relations, Advertising, Business management, networking and negotiating skills with her beauty, sophistication, dynamic personality, classic taste while combining it with her niche in the real estate ultra-luxury market with the elite circle of affluent people around the world that surround her and her family roots respected for generations, in order to provide you with excellence in service! December, 2006 - Associated Press -"...agent uses podcasts to lure buyers..." the Boston Globe, AP wire. CLICK HERE - to read entire article on Zahara Mossman's innovative and cutting edge marketing techniques. "I provide superior quality services to all of my clients from the very beginning. I have a team of professionals supporting me and working with me in order to be able to offer only the very best in service. From top Real Estate Attorney's to Mortgage Broker's to C.P.A. 's, both National Developers and International Developers and Interior Designers, we all work together to provide you with what you need to make a wise investment along with excellent service. I use every tool available today, to enhance the level of my services, from cutting edge technology to digital photography to the Internet, to personalized service from me and my business associates. Through our commitment, experience, and expertise Zahara Properties™ has established a business relationship with our Friends, Customers, Developers and Colleagues for a lifetime! Earlier this year, Zahara Properties™ was honored by the North Beach Development Corporation with an Award for "Outstanding Rehabilitation" you can read more about this in the Press Release page. If you are ready to purchase a new home, would like a private consultation or are interested in selling your existing home, please contact Zahara Properties right now to start the process. We will guide and provide you with our experience and expertise in order to assist you in making the right decisions to suit all your real estate needs. Let us find your dream home or next investment today...this along with great customer support and a friendly smile - a combination that can't be beat! 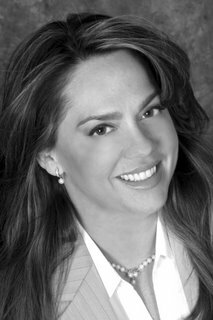 Zahara Properties, LLC was founded by Zahara Mossman, Managing Member in 2004 and is located on Miami Beach, Florida. NOw, she has expanded her offices to Latin America based out of Costa Rica. As a division of Beachfront Realty, Zahara Properties™ provides Ultra-Luxury and Commercial Real Estate services throughout beautiful South Florida, Costa Rica and internationally. The photographs above are original taken for Zahara Properties, LLC and are copywritten along with all additional photos and text in this blog and all blogs and websites created by Zahara Mossman, LLC. You must have written consent to reproduce anything on these pages and postings. 40 Acres of endless water and direct access ocean views. Zoned for commercial or residential development. Conact Zahara right now by clicking HERE for more information on how to acquire this gorgoues paradise. 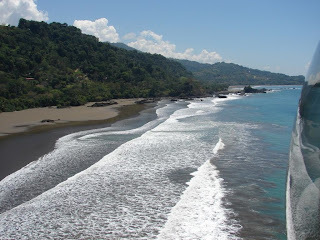 This amazing property is located on the sandy beaches of Dominical Costa Rica. Have you ever dreamed of retiring in Costa Rica or just having a second home in paradise? Now is your chance of a lifetime!! or visit us on the web at www.ZaharaProperties.com to access more listing and useful information. Condominium in San Jose, Costa Rica - Great Starter! Gorgeous condo in Santa Ana, near San Jose. Breathe freely the delightful fresh air from the surrounding mountains. This 2/2 2 story townhome/condo is just right for the out of town investor, who likes to stay near the city. Land in San Jose and you are 15 minutes from home!! Greater starter in this amazing country! eMail Zahara now by clicking here to obtain additional information on this excellent starter property! "Podcast Realty.com, your local podcast realtors!"